Our guide to Fremont will help you find the best frozen yogurt shops in Fremont California. There are tons of great frozen yogurt shops in the city of Fremont, our city guide will help you find the best frozen yogurt shops. You may have a hard time deciding what to do in Fremont, but we make your decision easy. 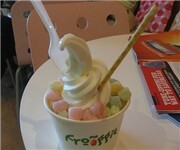 1554 Washington Blvd, (510) 623-8642 - Fro-ggie is a frozen yogurt shop located in Fremont CA. 2660 Mowry Ave, (510) 744-9618 - Yogurtouille is a frozen yogurt shop located in Fremont CA. 34460 Fremont Blvd, (510) 739-6300 - Sweet Orchid is a frozen yogurt shop located in Fremont CA. 3924 Washington Blvd, (510) 657-7262 - Yogurtastic is a frozen yogurt shop located in Fremont CA. 43423 Mission Blvd, (408) 557-8333 - Pink Swirl Frozen Yogurt is a frozen yogurt shop located in Fremont CA. 43773 Boscell Rd, (510) 651-8888 - Yoswirl is a frozen yogurt shop located in Fremont CA. 4378 Thornton Ave, (510) 790-6060 - Yogurt Delight is a frozen yogurt shop located in Fremont CA. 46809 Warm Springs Blvd, (510) 979-9710 - Yogurt Bees is a frozen yogurt shop located in Fremont CA. 46999 Warm Springs Blvd, (510) 252-1828 - Cafe Verona is a frozen yogurt shop located in Fremont CA. 5030 Mowry Ave - Menchie's Fremont is a frozen yogurt shop located in Fremont CA. There are plenty more frozen yogurt shops in Fremont. See all frozen yogurt shops in Fremont California.